Katie from Upcycled Treasures decorated a Christmas tree with a rustic cabin inspired theme and made this great burlap garland to go on her tree. 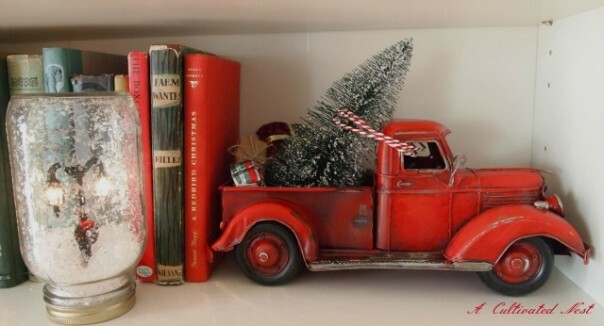 I especially love this idea because I had already picked up some of this ribbon at Michaels, so I can totally use the idea for my own tree! 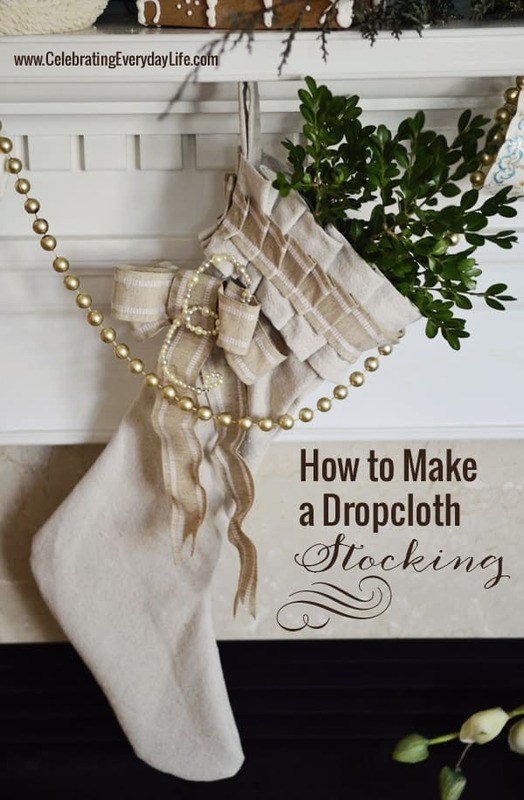 This creative stocking is made from a basic drop cloth. There is so much detail in it and can really fit into any decor. 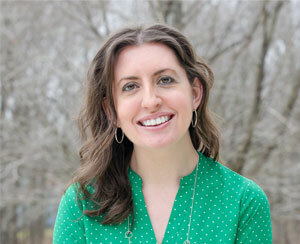 Jennifer from Celebrating Everyday Life created an amazing piece! Lucy from Craftberry Bush created these trees a few years ago, but the project was new to me this year. They look so fabulous for winter and are a super easy project made out of cardboard! Don't they look amazing on this table? I really love this saw that Jann from Have a Daily Cup of Mrs. Olson created. The painted words look so well done and the burlap bow with greenery and berries is such a nice touch! This idea for "Hot Chocolate on a Stick" from Saffron Avenue is so cute and easy to make....The recipe itself is for plain hot chocolate, but has a tip for adding a peppermint twist to it. Wouldn't it make a great little gift for someone? This package is wrapped so simply in just brown kraft paper, but looks so nice with the red ribbon and sprig of greenery. I'm leaning more towards simple in my style lately and this fits right in. The hand stamped tag is the perfect final touch. Last week I did a post showcasing some of my favorite place card ideas. I saw this after I had done the post or else it would have been included. We typically think of putting place cards on the table somewhere for our guests, but I think what Kennesha from Restoration House Interiors has done is super creative. 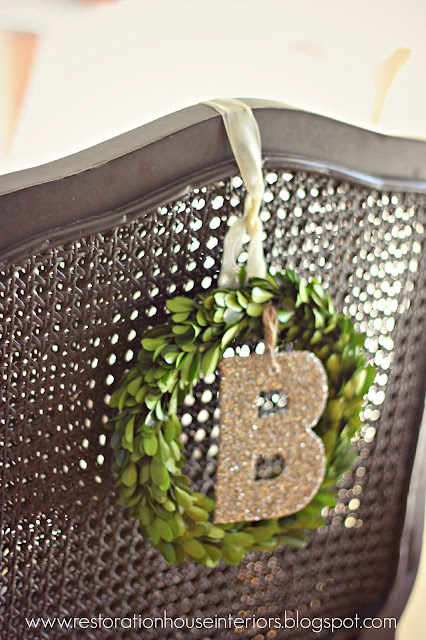 Why not add a little decoration to your chairs, too! Sticking with my love of the simple is this vignette in the bedroom from Dear Lillie. 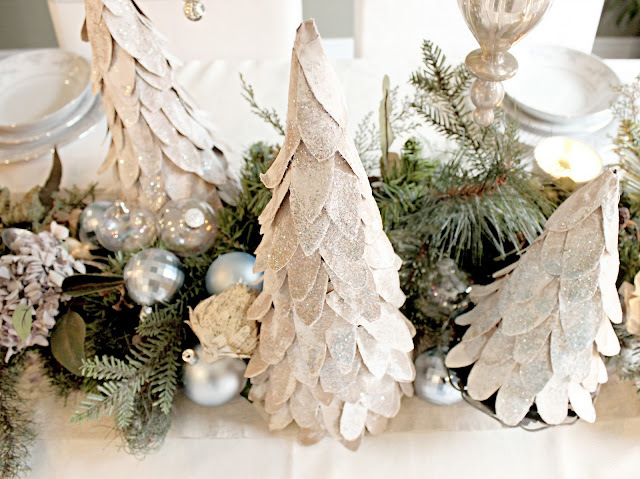 A few branches in a metal urn look so fancy when decked out with silver ornaments. 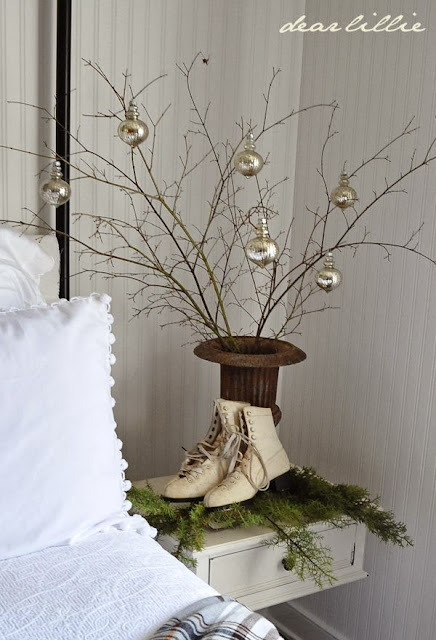 And the old ice skates and greenery finish out the laid back display. Those are some of my favorite looks from this past Christmas season....What did you find inspiring?